Two months ago, we wrote about the new collection of Battle Pack cleats that adidas unveiled in conjunction with the 2014 World Cup. And with two adidas-sponsored teams ready to battle it out in today’s World Cup Final at the Maracana Stadium in Rio de Janeiro, we figured it was as good a time as any to take a closer look at one of the five styles available: the Predator Instinct. 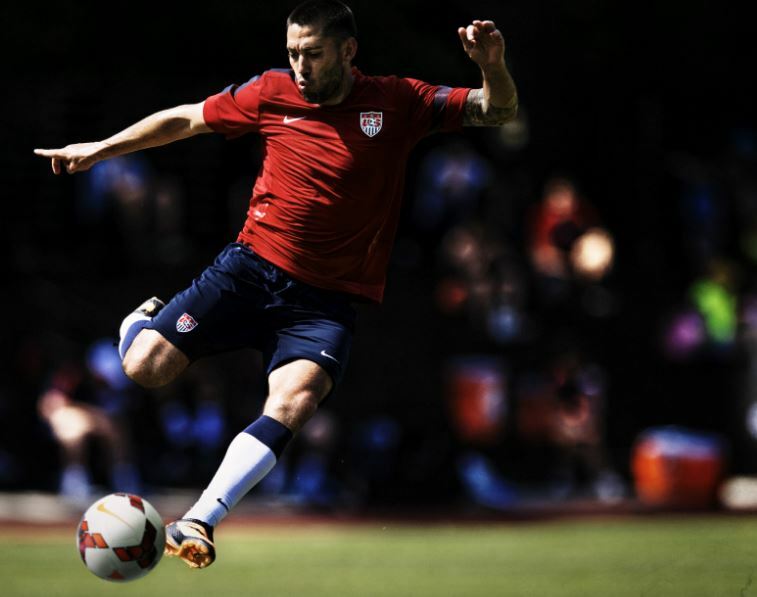 The latest version of the popular Predator line has been worn by several top players throughout the tournament (including Germany’s Mesut Özil, Brazil’s Oscar and USA’s Graham Zusi), and that’s because it’s arguably one of the best soccer cleats on the market. Along with a HYBRIDTOUCH synthetic leather upper that offers premium softness and light weight without sacrificing durability, the shoes feature a transparent, firm-ground outsole with a control frame that’s more flexible and thus more responsive. But what sets the Predator apart from adidas’ other styles are the five control zones located on the top of the cleat that are designed for more power, swerve and contact. Each raised zig-zag pattern (or “zone”) is made of a next-gen SL rubber that allows you to make the ball move in ways that’s an absolute nightmare for goalies. Additionally, adidas has upgraded the gel pad located on the instep that improves grip and control for a better all-around touch of the ball. Though we weren’t crazy about the tribal war paint design of the Battle Pack collection when it was first announced, they’re a lot more attractive in person, particularly the Predator, which isn’t nearly as flashy thanks to its white-on-black color scheme. Of course, it hardly matters what the shoes look like if they perform on the field, and the new adidas Predator Instincts don’t disappoint in that department. Whether or not they’ll give Özil and his German teammates the edge they need to take down Lionel Messi’s Argentina is another matter entirely, but there isn’t a better stage to showcase these awesome cleats than the biggest sporting event in the world. The adidas Predator Instinct Battle Pack cleats are available now in specialty soccer stores and online at www.shopadidas.com. It’s been a wild World Cup so far, and if you’ve been betting the underdogs you’re a happy guy right now. Traditional powers like Spain were booted, and Italy got screwed on a lame red card and a biting incident that was missed by the officials, highlighting just how difficult it has been to predict the outcome. So keep that in mind when you’re about to bet on sports at www.williamhill.com. Sure, some traditional powers are winning as well, as Argentina looks pretty damn good with Messi pumping in goals. Brazil keeps winning, but they’ve looked pretty mediocre so far. Still, if you predicted a Brazil/Argentina final things are shaping up that way even with all the upsets so far. With World Cup 2014 only six months away, and the official draw taking place tomorrow to see which countries will face off against each other in the group stages, adidas has revealed the official match ball for the tournament, and it’s a beauty. The company sent us our own Brazuca (an informal local term that means “Brazilian”) to test out this week, and we have a good feeling that, unlike World Cup 2010’s much-criticized Jabulani ball, players are going to really love playing with this one. The Brazuca is a breakthrough innovation featuring a revolutionary six-panel design and a unique surface that provides improved grip, touch sensibility and aerodynamics. It’s got just enough stickiness from the goose bump texture without being a hindrance to flair players, and it’s not nearly as unpredictable in the air as the Jabulani, which should be music to goalkeepers’ ears. The colors and ribbon design on the ball panels symbolize the traditional multicolored wish bracelets worn in Brazil, and also reflect the vibrancy and fun associated with soccer in the country. 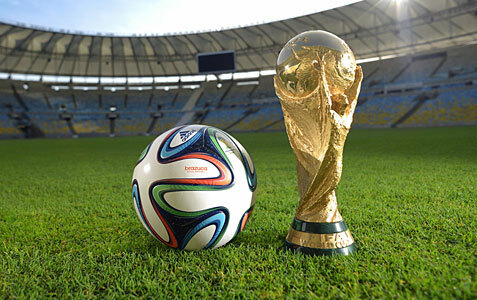 Quite amazingly, the Brazuca has gone through two and half years of testing involving more than 600 of the world’s top players – including Lionel Messi, Iker Casillas, Bastian Schweinsteiger and Zinedine Zidane – as well as 30 teams in 10 countries across three continents, making it the most tested ball ever by adidas. And that attention to detail really shows in the final product, hopefully resulting in a World Cup remembered more for the incredible moments than the Brazuca itself. After all, that’s the true test of a great match ball. For more on the Brazuca, check out the video below to see the ball in action, head over to adidas.com to buy your own, and be sure to follow @adidassoccer and @brazuca for other news leading up to next year’s World Cup.